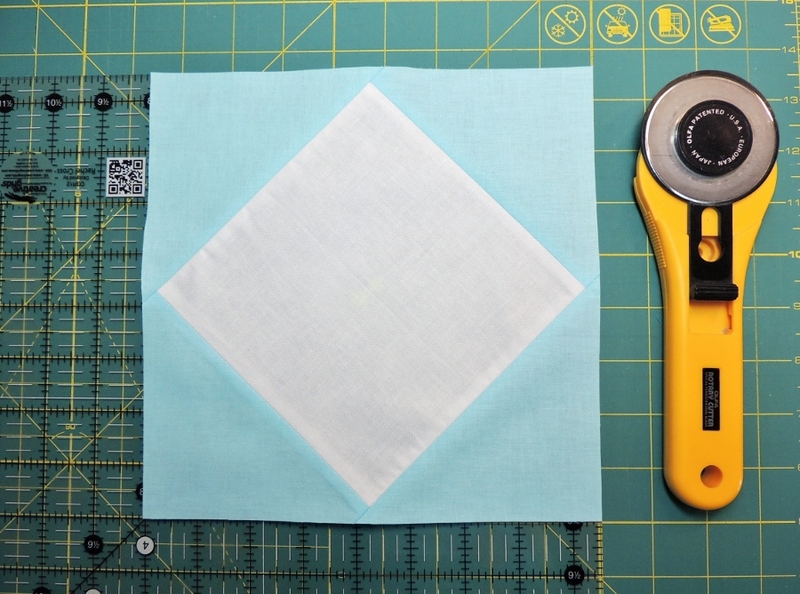 Today I want to share a photo tutorial of the steps I used to piece my square in a square blocks for my Snowflake Shimmer Quilt Along quilts. 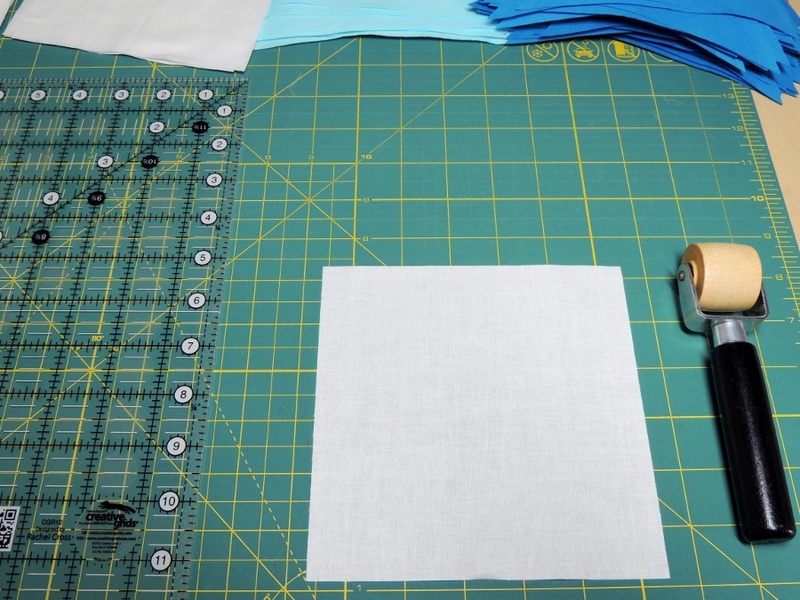 To place the Fabric B and Fabric C triangles for the Square in a Square blocks, I recommend folding the Fabric A 6 ⅛ʺ x 6 ⅛ʺ squares in half in both directions and pressing them to create a crease or fold line. When placing the triangle, make sure the point of the triangle falls on the pressed line. I use my wooden seam roller (non affiliate link) to help me make the center line creases. I do my best to line up the top edge and corners when I fold the square in half. By holding the fabric down with my pinky and index finger of my non dominant hand, I can use the wooden seam roller to press in between my fingers. There is no need to press across the full width of the square, just a few inches around the center is enough. Getting used to keeping the fabric edges aligned and sliding the triangle up and down to get the point to fall on the center line fold takes a bit of getting used to, but after a few blocks it will go much quicker! Sewing the Square in a Square blocks with a scant quarter inch is really key to making these blocks. 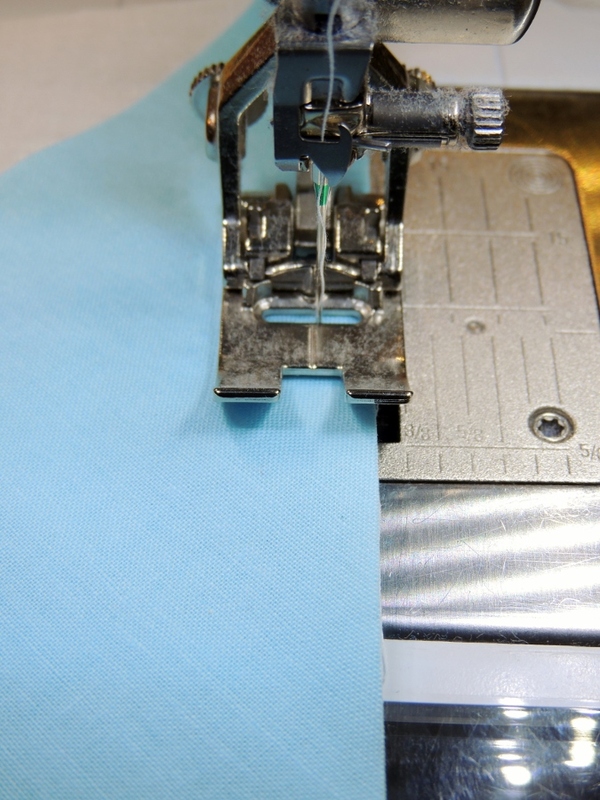 As you can see in the image above, I accomplish that by moving my sewing needle position one stop to the right. Remember that the second triangle is sewn across from the first. I like to chain piece all my triangles on one side, then flip and chain piece all the second triangles. After that I press all the seams open and then go back and chain sew on triangles three and four. To reduce bulk, I also quickly trim off the dog ears prior to pressing open seams three and four. 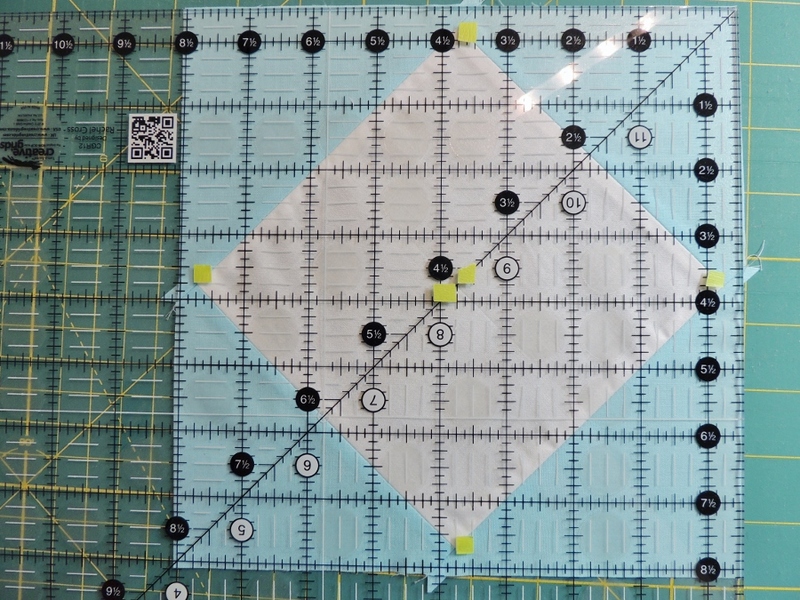 I don’t use a ruler; just a quick press of the rotary cutter does the job. 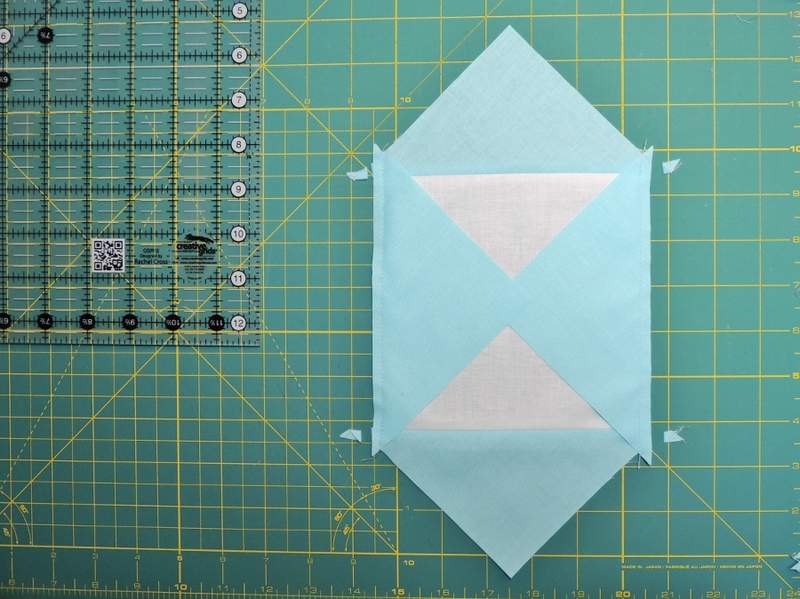 The final step in the block piecing process is squaring up / trimming the Square in a Square blocks to 8.5-inch square. 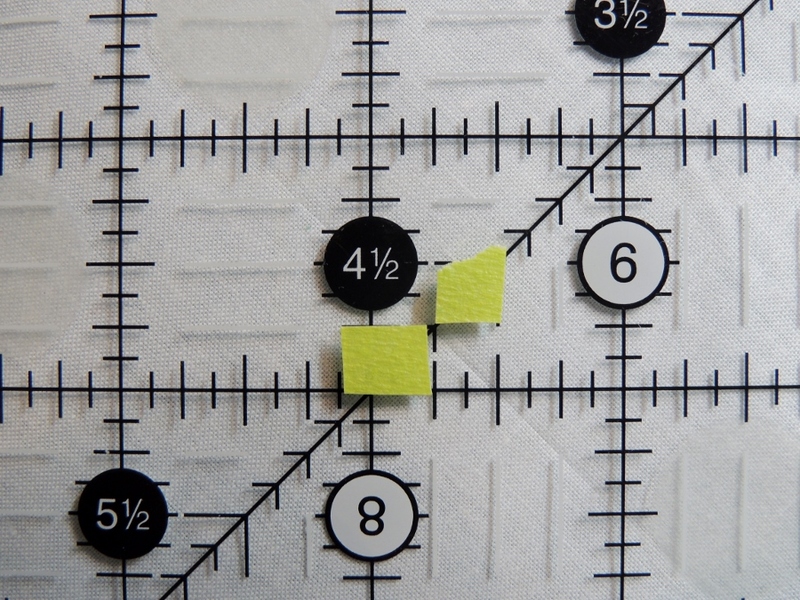 I have placed a few small pieces of tape at crucial alignment points on my ruler in the photo above. It helped me to quickly line up my block for trimming. 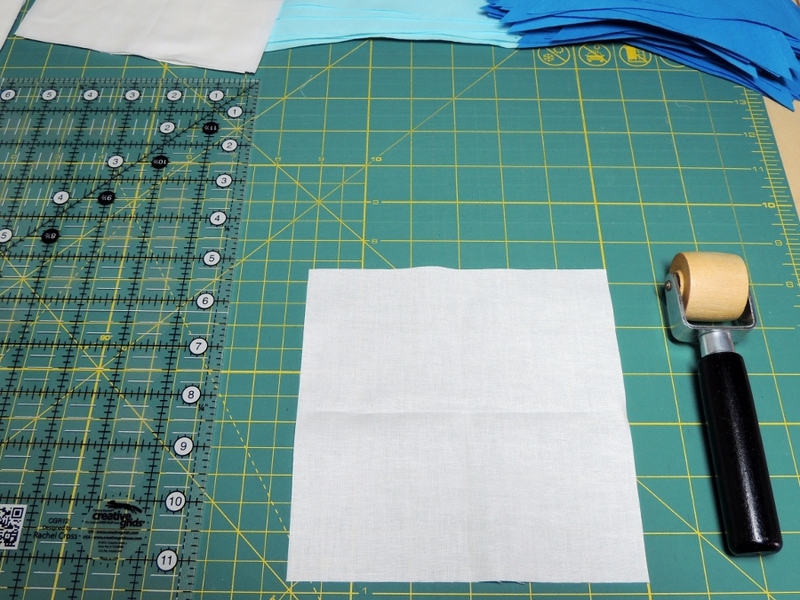 The four outer points are at the halfway (4.25-inch) and quarter inch seam allowance point for the points of the inner square. The inner marks the very center of the square which is easy to find using the early pressed center lines as reference. Note that one of the pressed center line marks will fall directly under the 45 degree line. I really like to use a large square ruler to help with this step. I tend to place the block on my mat in any orientation that doesn’t align with the regular cutting grids. That way I am not cutting repeatedly in the same spot and wearing out my mat. So that is my method for piecing Square in a Square blocks. 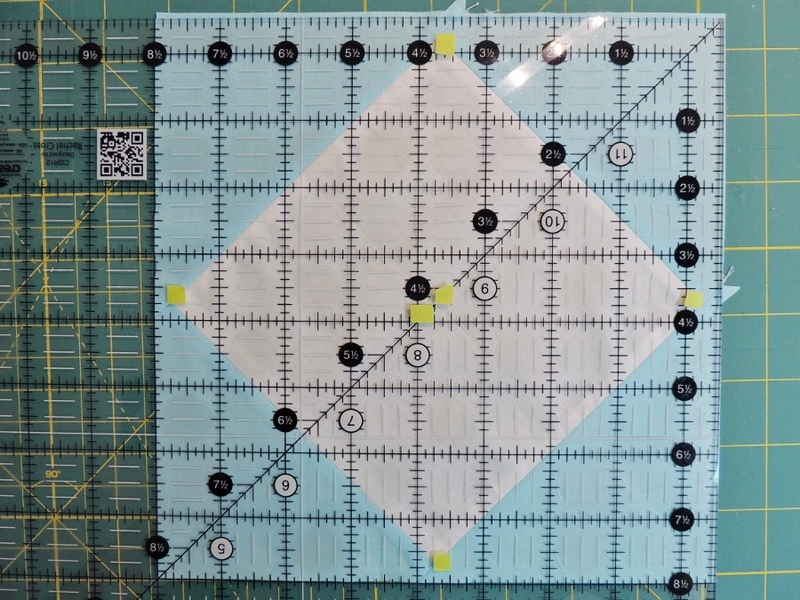 If you are looking to piece smaller square in a square blocks, I recommend you consider using the free paper pieced templates that Cheryl @Meadow Mist Designs created for 2- through 6.5-inches in half inch increments. Now this is what I call a useful tutorial. Thank you for giving up your precious time to create it. That makes it look so easy. thanks! This is a very clear tutoriala Yvonne. Thanks for the tips with the tape. I’ve never thought of doing this before. I love an excellent square in a square tutorial. Well done, Yvonne!! I’m pinning this for sure. Hugs from NY! Neat! I always admire your precision! 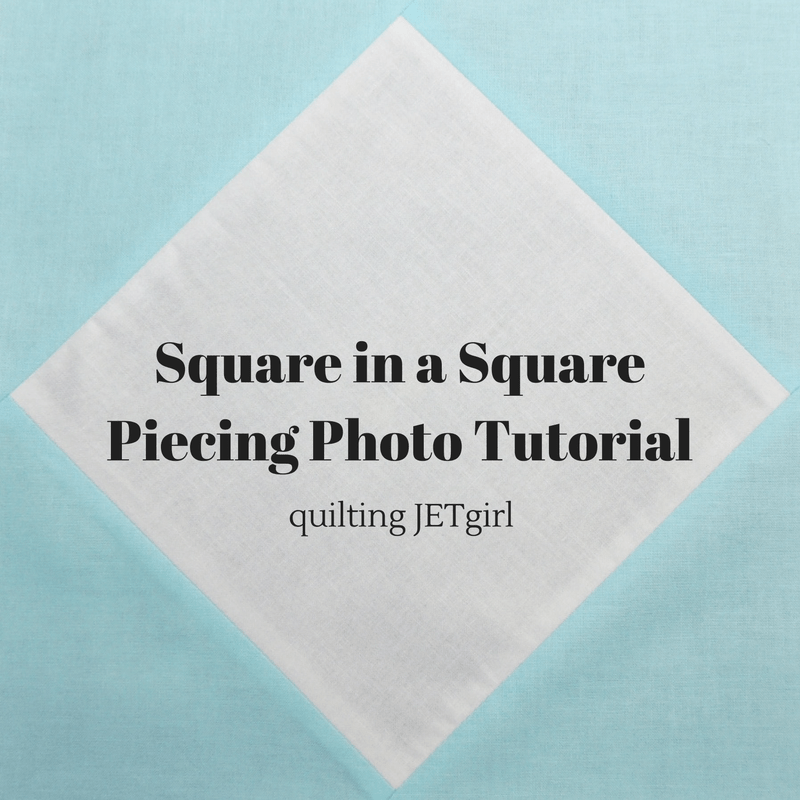 Great tips to get really precise square in a square blocks!